The building speaks for itself. Looking at the elegantly decorated façade with intricate yet beautiful design somehow takes us back to the Old World. 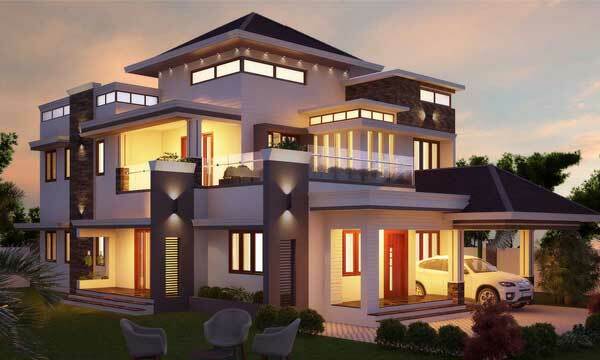 The architectural design speaks to authentic European style. 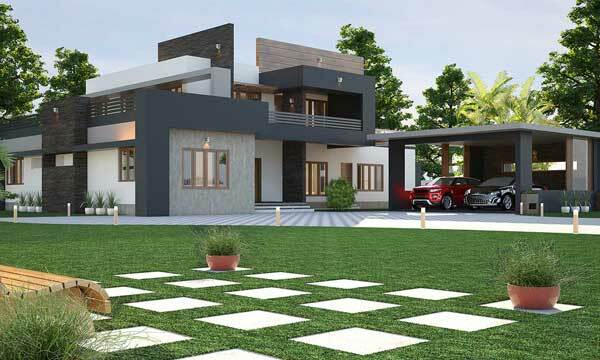 As one of the top architects and interior designers in Kerala, we have come up with a spacious and well ventilated design with an equally attractive exterior and authentic architectural elements borrowed from the Mediterranean style. 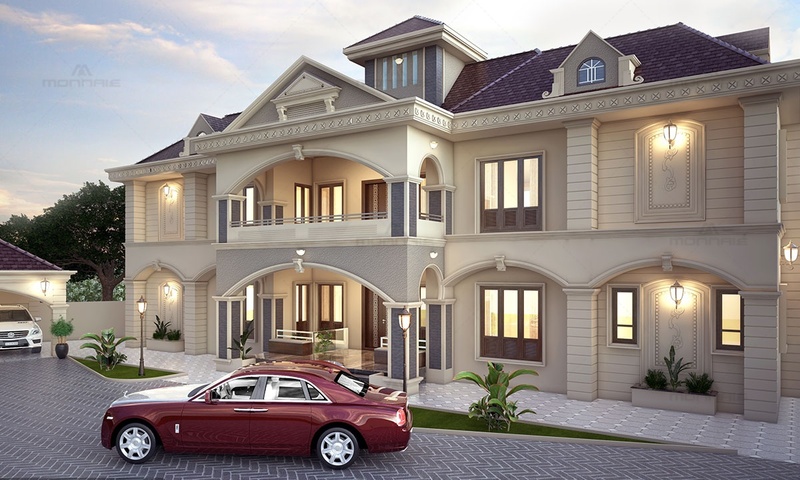 The exterior is crafted with huge arches, decorative pillars and crowned by a pitched roof of lavender shingles with dormer windows adding a sophisticated royal style to the house. 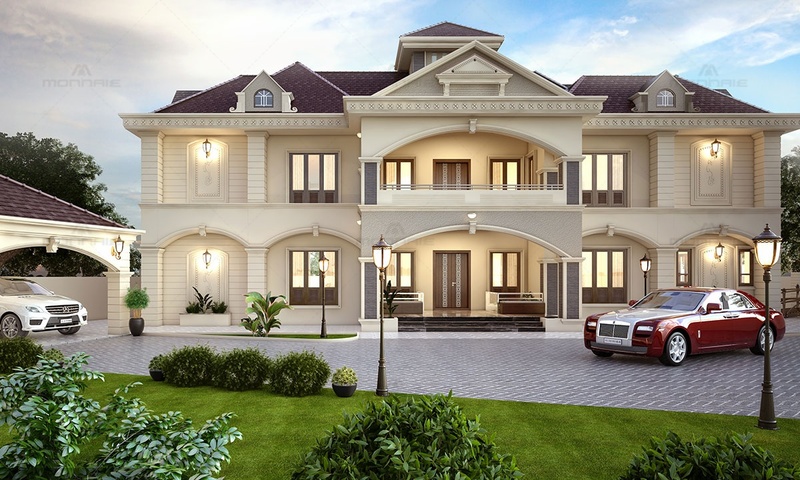 The earthy colour scheme enhances the massive and symmetrical façade of the house which is one of the striking feature in this style. The courtyards inside the sit out and planter boxes enhances the earthy and rustic feel of the building. 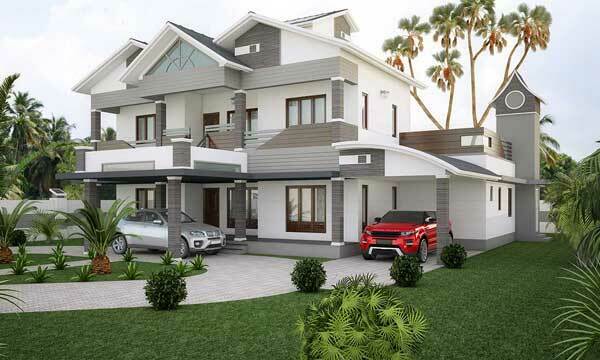 A perfect balance is brought between the ornamental façade and the minimal landscaping elements of the house. Being one of the best architecture firms in Kerala, we have incorporated a unique aesthetic style into the house with the balanced placement of French windows, textured walls, ornamental motifs and horizontal grooves.